Click Here To See Pricing! As ATC Communications continues to grow and expand, so does our number of offices, garages, plows, and service trucks! Introducing the one man charged with keeping our numerous facilities and fleet of vehicles safe and efficient: Jeff Leach, AKA, the “Grease Monkey”. Jeff has over 28 years of mechanic experience along with a Master’s Degree from the Do-It-Yourself School of Hard Knocks. Whether its roof repair, vehicle maintenance, or concrete work, Jeff is the foreman of it all. Jeff keeps up with his never ending fix-it list, with the help of a fresh ground cup of coffee (his favorite beverage). 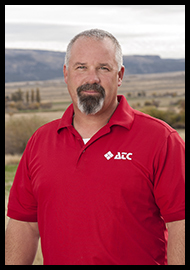 In his free time, Jeff enjoys boating and snow machining, and of course spending time with his family. We’re grateful to have this smart, efficient, Get-Er-Done guy on our ATC team.